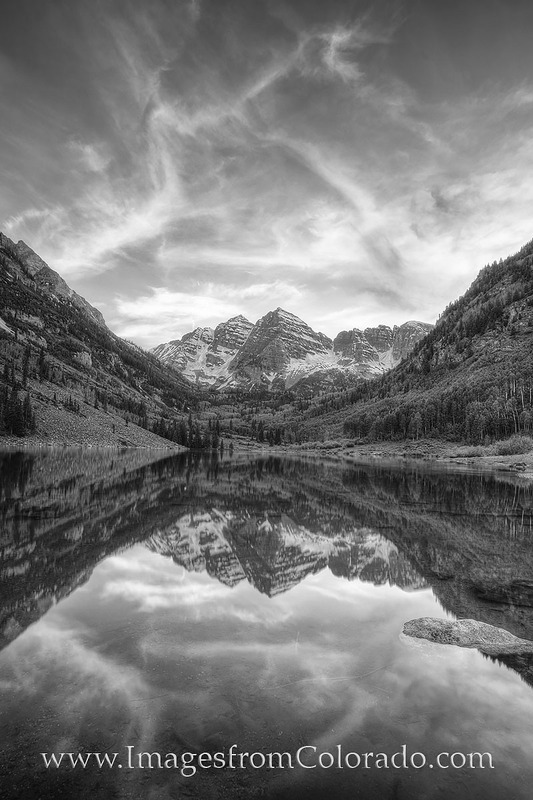 On a quiet evening at Maroon Lake near Aspen, Colorado, high clouds drift over the Maroon Bells in this black and white image. These peaks are two of Colorado's most photographed mountains, and shine here in a mirror-like reflection in the still lake water. Photo © copyright by Rob Greebon.